NAIROBI, Kenya, 3 May 2017, -/African Media Agency(AMA)/- The Kenyan Government has provided a vote of confidence in the implementation of the Huduma Card in the country, and its role in driving financial inclusion. The announcement was highlighted during the 2017 World Economic Forum (WEF) on Africa, and is in line with the events focus on showcasing how Africa is ensuring its citizens are empowered through inclusion. Research done by the World Bank indicates that financial inclusion is progressing well in Kenya, where 75 percent of adults have an account – however, a core pillar of Kenya’s Vision 2030 is improving the efficiency and transparency of public services and payments to bring even more Kenyans into the financial ecosystem. This is key to the sustainable growth of any economy. 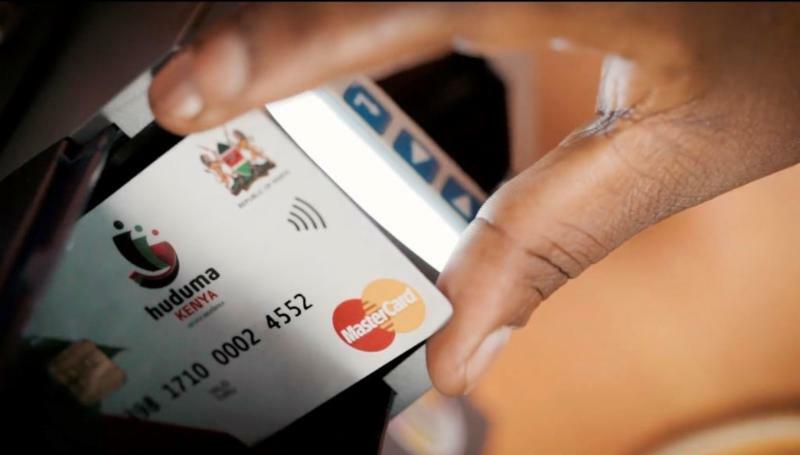 Mastercard, as one of the official technology partners to Huduma, ensures that the card offers a secure and convenient way for citizens to transact. The company is driven to displace cash, and is committed to financially empowering 500 million people worldwide by 2020. The Huduma partnership forms a key part of the strategy in reaching this goal. “With a successful pilot under our belt, we are confident that the national roll out of the Huduma Card will be successful, meeting the expectations of the Kenyan Government and the needs of all Kenyans. The road to achieving our long term goal of reaching 13 million citizens over a period of seven years is well underway,” says Dennis Mutuku, CEO Huduma Kenya Secretariat. Mutuku pointed out that as part of the roll out strategy, the Huduma team are exploring various options to drive usage of the card. One such example he highlighted was the recent launch of the Public Transport pilot in partnership with Matatu operators. He noted that given the country’s dependence on public transport, the introduction of a transit payment solutions will help to reach more people with the greatest need in a meaningful and practical way. “The Huduma story in Kenya can be held up as a leading example across the rest of the continent of how technology, innovation and collaboration between public and private sector partners can be harnessed to implement flexible and safe payments that facilitate inclusive growth,” says Daniel Monehin, Division President and Financial Inclusion Lead for International Markets, Mastercard. Continued collaboration between partners in both the public and private sector is key to implementing these large scale initiatives that aim to develop strong financial ecosystems. This is a core theme at WEF Africa, where sharing knowledge in creating a digital continent is seen as being vitally important. Kenya is at the beginning of its journey with the implementation of the card, but already the potential of the prepaid card solution is evident. Mutuku reinforced that it is a journey, mentioning that in order to ensure the roll out is successful key implementation steps cannot be overlooked. “Providing citizens across the continent with more seamless solutions to engage with and access government services remains a core priority of ours and we will keep partnering and collaborating with market leaders to make sure that Africans benefit from continued innovation that will deliver more inclusive economic ecosystems,” Monehin concluded. The multi-purpose prepaid Huduma Card can be obtained easily at various Huduma Centre’s nationwide and the four partner bank branches (CBA, DTB, EQUITY, KCB) – and because applicants do not require a credit check or bank account to apply, it allows Kenya’s un- and under-banked citizens in particular to benefit from being financially included and able to pay for and receive critical government services. With its chip and PIN technology, the Huduma Card also enables citizens to make and receive social payments safely, conveniently and without cash in store, online, by phone anywhere Mastercard is accepted worldwide. Chip and PIN technology is a global standard to guarantee that money is protected even if the card is stolen or lost – this added protection ensures beneficiaries can receive their funds conveniently and securely. Integrating state services on the system ensures that all Kenyans benefit from vital public initiatives such as the National Hospital Insurance Fund (NHIF) and National Social Security Fund (NSSF) among others.